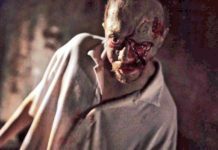 Happy new year, zombie fans all over the world! 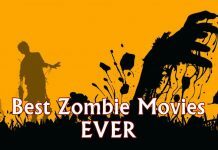 Right before 2016 took its final breath, I managed to watch again one of the funniest and most successful zombie movies (at least when it comes to mainstream success): Zombieland. 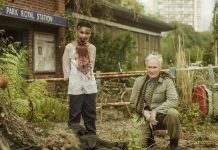 I am sure you all remember that the main character has a set of rules in place for surviving the zombie apocalypse and I decided to list them all below for fun and safe keeping. So below you have the 33 rules of Zombieland: the fun way to survive the zombie apocalypse. And the truth is that most of these “rules” are not as crazy as they might sound in the first place! So without further ado, here are the 33 rules we’ve learned from Zombieland. Make sure you keep them in mind for when the zombie apocalypse strikes! 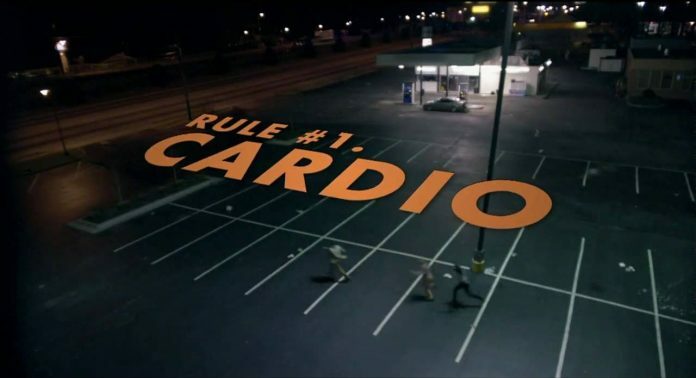 Rule #1: Cardio – The faster you run, the further away you can be from a zombie. Rule #2: The Double Tap – Never assume a zombie is dead. Always make sure with a clean shot to the brain. Rule #3: Beware of Bathrooms – Zombies can be sneaky. Always be cautious when entering the “facilities”. Rule #4: Wear Your Seatbelt – There will already be enough to worry about, with the living dead running around. Make sure you’re buckled in secure, just in case. Rule #5: No Attachments – Don’t get too attached to your travel buddies. You may be blowing their brains out in the end. Rule #6: Cast Iron Skillet – Sturdy and portable, this household item makes a great zombie deterrent. Rule #7: Travel Light – Only carry the necessities. You never know when you’re going to have to pick up and go in a hurry. Rule #8: Get a Kickass Partner – Always good to have an experienced zombie killer on your side. Rule #9: With Your Bare Hands – Always have some kind of weapon at the ready. Do you really wanna touch these undead freaks with your bare skin? Rule #10: Don’t Swing Low – Despite how some females feel about men, all brains are located in the head. That’s where you wanna aim. 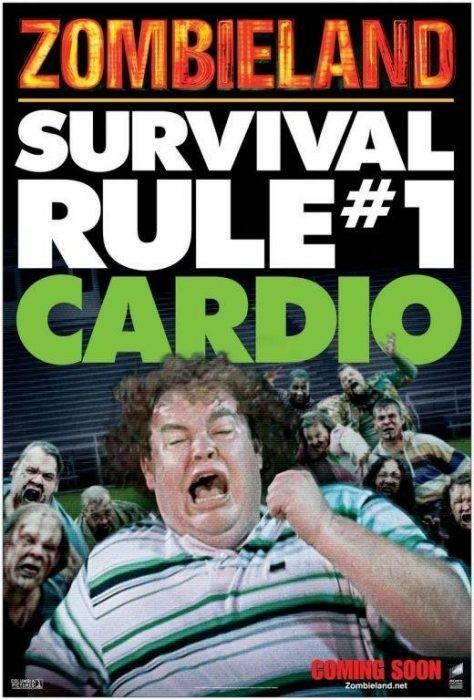 Rule #11: Use Your Feet – Running, jumping, kicking away zombies. Your feet are always something you should take full advantage of. Rule #12: Bounty Paper Towels – When it comes to the undead, you can never be too clean. Always carry these for messes, big or small. Rule #13: Shake It Off – Whether it be bad thoughts, shock, or a zombie, you gotta shake it off. Rule #14: Always Carry a Change of Underwear – You never know when you might need it. Rule #15: Bowling Ball – While it may not kill a zombie, it can definitely incapacitate a number of them at a time to set up for the Double Tap. Rule #16: Opportunity Knocks – And whenever it does, make sure you answer. Rule #17: (Don’t) Be a Hero – Unless it’s a matter of life and death, there’s no need to show off. Rule #18: Limber Up – Nothing will slow you down like a pulled muscle. Rule #19: Break It Up – It’s always good to blow off a little steam. If the zombie apocalypse has you all stressed out, just break something. Just make sure it’s not anything important. Rule #20: It’s a Marathon, Not a Sprint – Unless it’s time to sprint… then sprint. Rule #22: When in Doubt, Know Your Way Out – Always have an escape route. You never know when you might have to run. Rule #23: Ziploc – Those little bags are for more than sandwiches. They help keep moisture out, so it’s always good to have them handy. Rule #24: Use Your Thumbs – Ours were made opposable for a reason. Rule #25: Shoot First – You don’t have to ask zombies anything anyways. Rule #26: A Little Sunscreen Never Hurt Anybody – Do you really wanna have to worry about sunburn, too? Rule #27: Incoming! – Always be on your toes. You never know what could come out of nowhere. Rule #28: Double-knot Your Shoes – You don’t want to trip over unsecured laces while running from flesh hungry zombies, now do you? Rule #29: The Buddy System – The more, the merrier. Never go it alone. Rule #30: Pack Your Stain Stick – For those tough, ground in blood stains. Rule #31: Check the Back Seat – As stated before, zombies can be sneaky. Rule #32: Enjoy the Little Things – It’ll help you keep your sanity. Rule #33: Swiss Army Knife – Multitools are always a good idea. 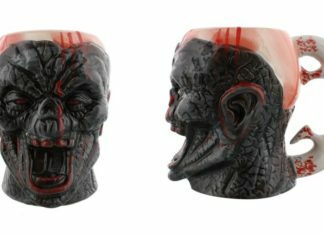 What other rules would you add to this impressive set regarding survival during the zombie apocalypse? Previous articleWant a Pair of Zombie Slippers? These Are the Best for You!